In my column this week, I featured a review of a new cookbook, The Casserole Queens Cookbook by Crystal Cook and Sandy Pollock. ﻿These two Casserole Queens know their way around casseroles and run a thriving food delivery service out of Austin, Texas. I know you'll enjoy reading the recipes. Click here to read my full review and a recipe from the book. Also, for more recipes and information on these ladies, visit their web site, The Casserole Queens. Deadline is November 28, 2011. I would love to have a copy of this cookbook! Oh..casseroles...I love them! They are so easy and filling! Yes..yes..yes I would love to win this cookbook! Omgosh!! 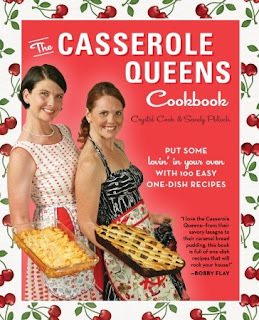 I saw the Casserole Queens on Throwdown with Bobby Flay, I would absolutely LOVE to have a copy of their book!! WE LOVE CASSEROLES!! I'd love this book as I'm always looking for great new ideas!!! Pick me!! What a great book. I would love to be included to win. I just love making casseroles! This looks like an excellent cookbook for someone like me. Thanks for hosting the giveaway! I would love to win a new cookbook to try! This would be a great cookbook to have, I'd love to win it! Kim thank you so much for letting me know about this great give away! I love the sound of this cook book! And being a "Country Girl" I was raised on casserole's! I'm definitely interested in all things cookbooks, count me in!! Oooh! This cookbook looks great- I would love to add it to my collection! This cookbook would make a wonderful Christmas gift for...well, me! I would live this cookbook. Saw them on QVC last weekend. I love casseroles. Yum. I've just discovered the greatest casserole-ware and now I'd love to do amazing dishes for my family with them.....enter the casserole queens with a cookbook!! 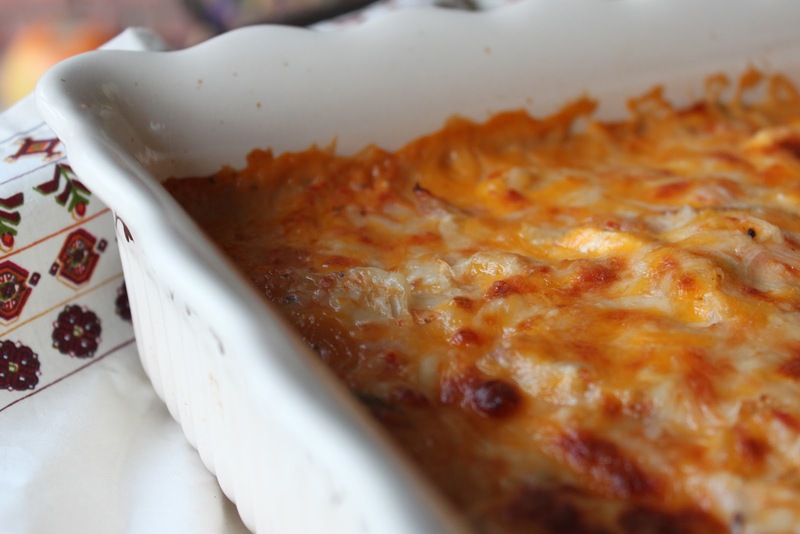 Casseroles are the best! I'd love to have this cookbook and see some updated recipes for my favorites. Thanks for hosting the giveaway! I would love this book for my daughter who is moving out of the house to her own kitchen and needs recipes. Please count me in! I am looking for a good cookbook with recipes that I will use and can actually cook. Thank you! hello, I am new here and looking for inspiration to rekindle my zest for cooking. I have fond memories of my mom's casseroles of tuna, chicken, marcaroni and cheese, chicken pot pie but never watched her cook. I would love to try some new recipes of this comfort food especially with cold winter weather approaching. It would be wonderful to take my mother over a casserole and surprise my children with this meal in a plate. I am glad to have found your interesting blog. Me, me, me!!!! Please! I'm all about casseroles and one dish meals!